France is home to an abundance of fantastic holiday opportunities, no matter the time of year you plan on visiting. But when it comes to French summer holidays, the wonderful resort of Chamonix has to be high on your list. 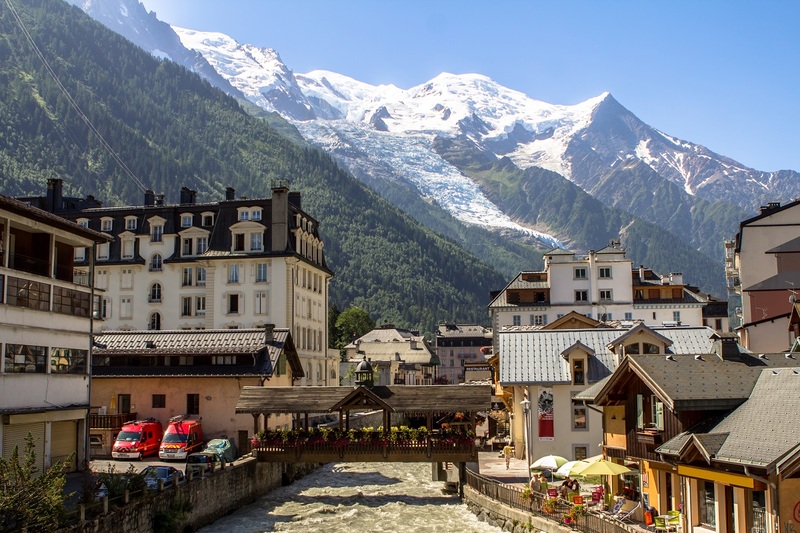 Boasting Western Europe’s highest mountain – Mont Blanc – Chamonix provides a truly remarkable backdrop for any holiday, offering everything from relaxing strolls and challenging hikes to myriad activities and excursions to enjoy. And then when you add in the incredible accommodation available, it’s easy to see why so many choose Chamonix for their summer getaway. In this guide, we highlight the joys of visiting this French resort and what you could get up to during a summer holiday to Chamonix. A holiday to Chamonix during the summer has so much to offer that it’s hard to know where to begin. This stunning holiday resort can’t help but inspire, thanks to its beautiful setting, dominated by the snow-capped Mont Blanc. Found near the junction of France, Switzerland, and Italy, the resort is just a 1hr 15-minute transfer by coach once landing. When it comes to accommodation, Chamonix excels once again. There are 10 amazing hotels in Chamonix to choose from for your home base during your holiday, including the retro Rockpop Hotel, Hotel Heliopic at the foot of the Aiguille de Midi cable car, and the luxurious Cristal de Jade Residence. 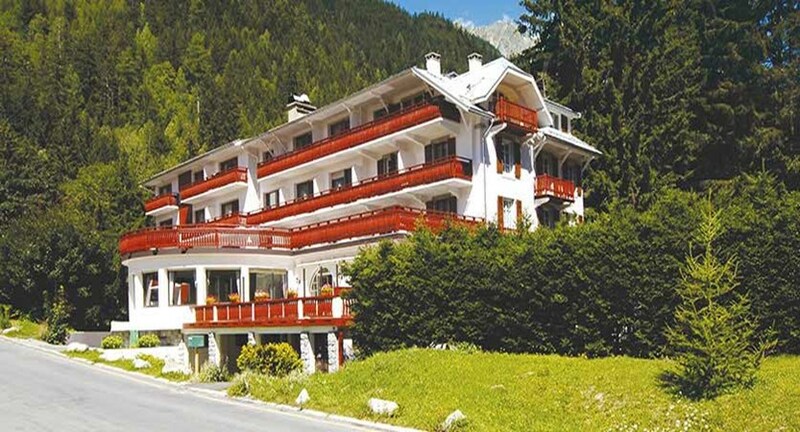 One of the shining stars of Chamonix’s accommodation, however, has to be Hotel Sapinière. This delightful hotel has a picture-perfect summer resort location and acts as a truly intimate and cosy choice with just 27 rooms. Popular for its relaxing atmosphere, sublime food, and friendly staff, Hotel Sapinière is located just a brief five-minute walk away from the centre of Chamonix – where an array of lovely shops and facilities can be found. Hotel Sapinière is an immaculate choice for a summer lakes and mountains holiday, not least because of the pretty views it affords of the Savoy meadows by Mont Blanc. When you then combine its attractive dining room, sun terrace, and bar/lounge, Hotel Sapinière really begins to distinguish itself. 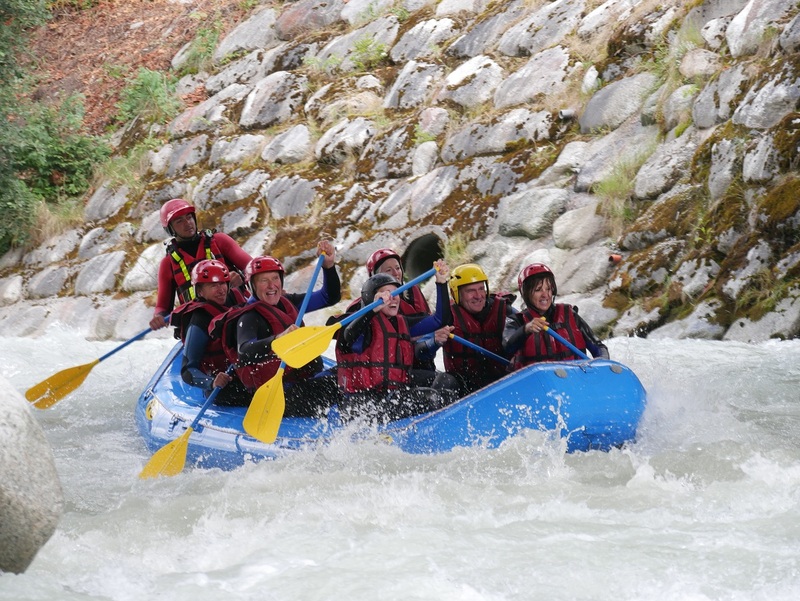 While any holiday to Chamonix is bound to be an enjoyable one, the Peaks of Perfection Activity Week is truly the perfect way to experience the resort as well as the incredible excursions available. This lovely holiday is ideal for those who are looking for an active summer break and what’s more, all the organisation and planning is done on your behalf! A full summer Alps holiday itinerary is waiting for you to enjoy, spread across eight fun-packed days. Guided hiking, bike hire, white water rafting, and free days to explore the picturesque resort are all included. There’s no question that you will be truly spoiled during your time in Chamonix – there is an indulgence of riches when it comes to fun things to do in the area. Aside from the organised excursions available, no matter what your tastes or style, there is something for everyone. 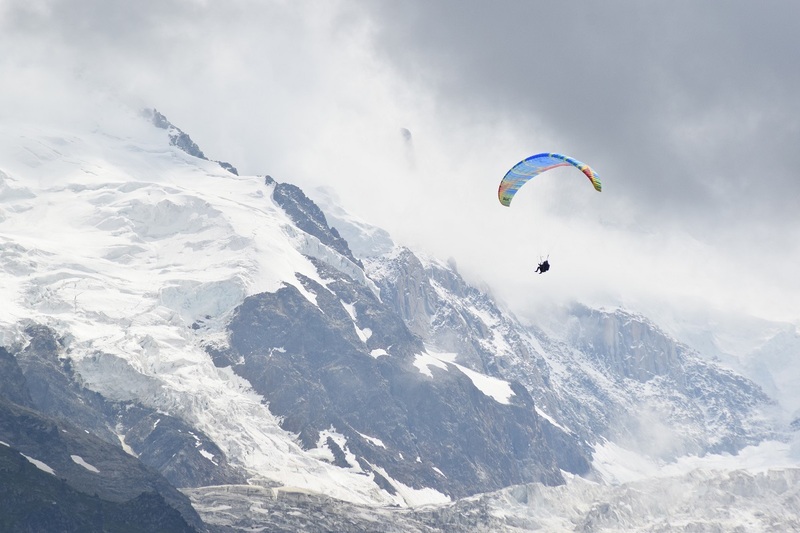 Is there any better way to absorb the majesty that is Chamonix than by soaring through the sky? Paragliding is a very popular activity for visitors to Chaminox, affording spectacular views and thrill-seeking into one immense package. If you want to get the best of your trip to Chaminox, you will certainly want to give it a go. 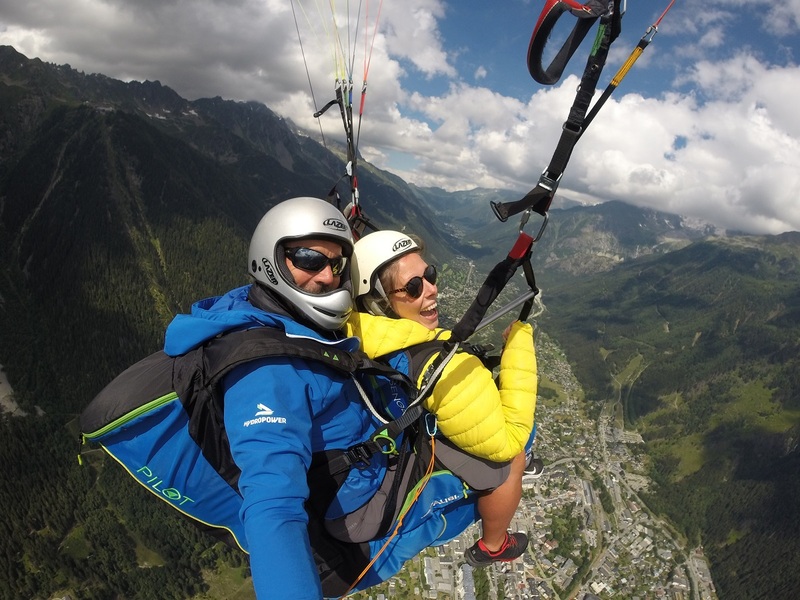 Paragliding can be booked with the likes of Chamonix Paragliding, who offer one to one tuition, beginner group courses, and spectacular flights. Planards Amusement Park is a wonderful choice when visiting Chamonix. Providing visitors with numerous activities for children and adults, including the Luge Alpine Coaster, kid’s games, trampolines, splash boats, playground, zip line, and more. There’s even a great restaurant so that you can grab a bite to eat during your visit. For those looking for some excitement during the evening, Casino Chamonix-Mont-Blanc would be an excellent option. With a relaxed and pleasant atmosphere, the casino boasts both English and French roulette tables, blackjack, and slot machines. There’s also the Le Café Royal to enjoy a drink during your evening. The casino is open from 11 am – 2 am during the week and until 3 am on weekends. 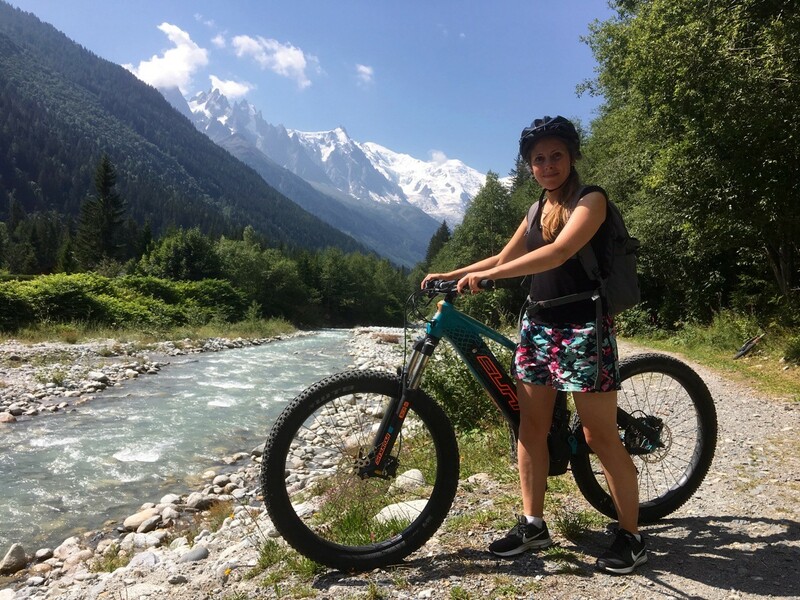 One of the best ways to enjoy beautiful Chamonix, as well as experience an active holiday, is to cycle around the resort and the many incredible Alpine trails available. Here you can find routes for the more experienced, as well as some low-level cross-country trails along the river l’Arve. If you think you might like to get involved, Zero G Chamonix Bike Shop is one location where you can rent bikes and equipment, including e-bikes. Visiting Chamonix Town Centre is certainly a must during your Alps summer holiday. Spread over 500 metres, there are a number of great shops to enjoy, including outdoor stores such as Rip Curl and North Face, as well as fashion shops such as Lacoste and Chanel. There is also a selection of top places to enjoy a bite to eat and drink in town, such as the trendy Cap Horn, serving up traditional and Japanese food, as well as cocktails, finger food, and wine. Another perfect summer activity during your stay in Chamonix would be horse riding at the Equestrian Centre of Mont Blanc. A wonderful way to explore the area, this centre isn’t just for seasoned pros who own horses, as amateurs, children, and beginners are all welcome. With qualified instructors who can give introductory lessons of one or two hours, why not consider picking up a new skill during your holiday? Open for the summer season from 1st May until 30th September, Merlet Wildlife Park is a fabulous nature reserve that must be visited by all animal lovers in Chamonix. Set above Les Houches village, the park was created in 1968 and is family run to this day. Here you can see freely roaming animals enjoying the alpine pasture, such as ibex, marmot, lamas, fallow deer, and many more beautiful native species. Additionally, the park acts as a great picnic spot and also offers a souvenir shop and restaurant. As you can see, this is one French holiday that shouldn’t be missed, with Chamonix providing everything one could wish for during a summer break. From the delightful accommodation and picture-perfect setting to the myriad fun activities and organised excursions to enjoy, Chamonix rightly takes its place in the pantheon of great summer holiday destinations. Learn more about the amazing Chamonix holidays we have available.